Looking for the best hotels in Venice? Made up of 117 small islands linked by 400 bridges, this city feels more like a fairytale than a modern European metropolis. Romantic and classic to its core, Venice boasts hotels that err on the side of opulence and are stuffed with antiques that recall the city’s heyday as a well-to-do independent republic during the Renaissance. Luckily, this Old-World city also has a few modern retreats tucked away along its canals, as well as discrete country homes and family-run pensione a short vaporetto ride from the major attractions and museums. 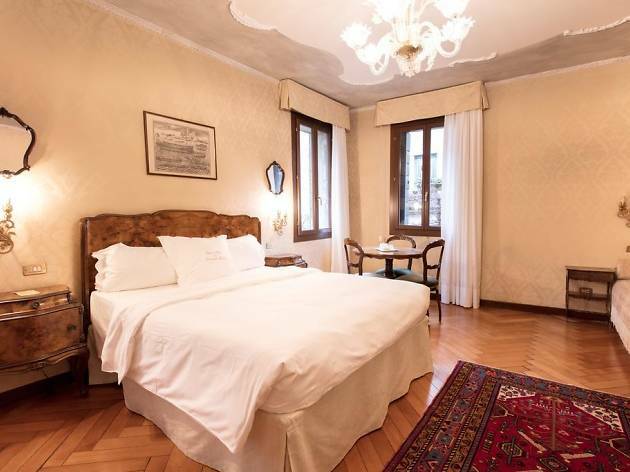 Of course, there are also budget-busting options for those hoping to book a stay like true Italian aristocracy (as well as budget-friendly, cheap hotel options). Regardless of the style, with only so much space and serious restrictions on any new construction, accommodation in La Serenissima is at a serious premium and should be booked as far in advance as possible. 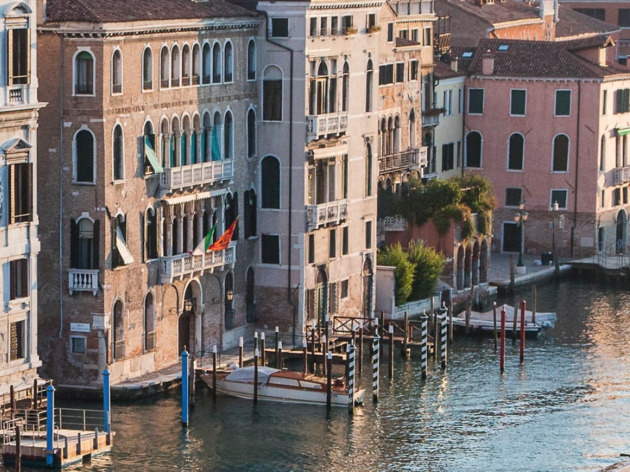 Here are some of the best hotels to help you decide where to stay in Venice. 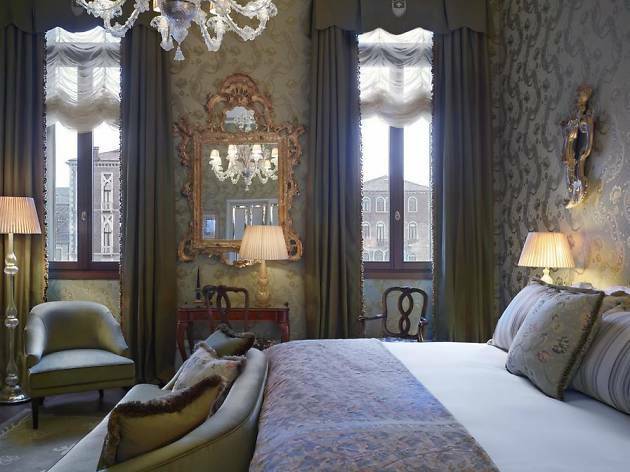 The Gritti Palace Hotel is Venice’s most sought-after address for good reason: the luxury property set inside a former Doge’s residence is the stuff that dreams are made of. The iconic building dates back to 1475 and occupies some of the best real estate on the Grand Canal. 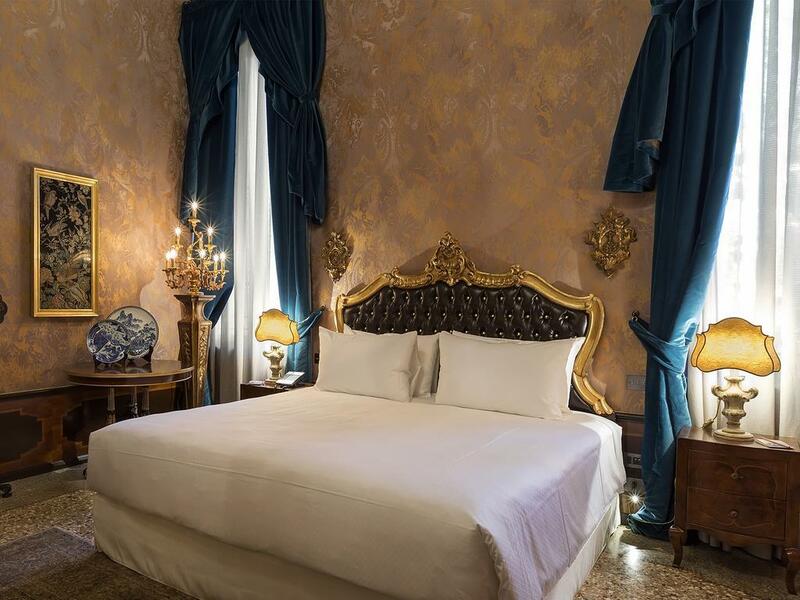 The palace has been fully restored and in keeping with the Venetian theme there are plush fabrics, period furniture, priceless artworks (including original frescoes) and marble nearly everywhere. 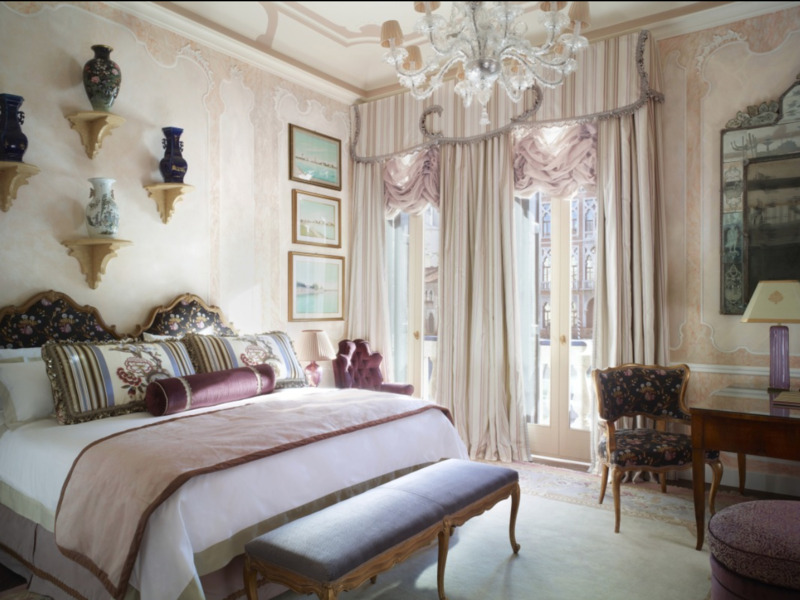 The suites facing the water are the most sumptuous of all, but every jewel-toned room feels lavish. To really indulge, book a treatment at the hotel’s Acqua di Parma spa or reserve a table at the Club del Doge to dine alongside the world’s most famous canal. 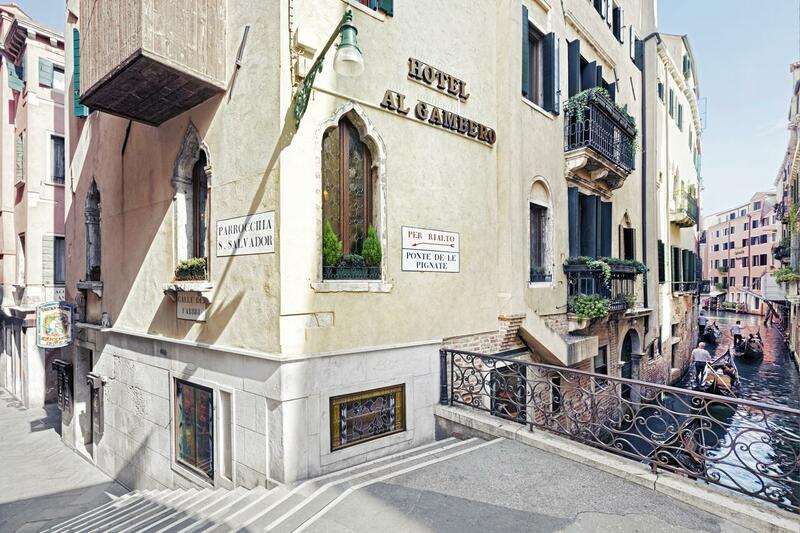 Money can’t buy happiness, but it can book a room at the stunning Aman Canal Grande. When throwing the budget out the window it’s hard to beat the museum-quality elegance of this hotel on the Grand Canal. Most guests arrive by boat before checking into the extravagant rooms. One of the suites has frescoed ceilings painted by eighteenth-century artist Giovanni Battista Tiepolo; others have views over the water, marble fireplaces, silk wall coverings and modern tech touches. After recovering from the sticker shock at the price of a night’s stay, check out the spa, gym, rooftop terrace and piano lounge to make the most of this splurge worthy property. DD724 is a breath of modern air in a city that tends to skew towards over-the-top opulence and a “more is more” approach to decor. The design hotel is cool and contemporary, opting for sleek style instead of relying on Old World charm. Each of the nine rooms are minimalist with clean lines and a muted palette that’s warmed up with abstract art. 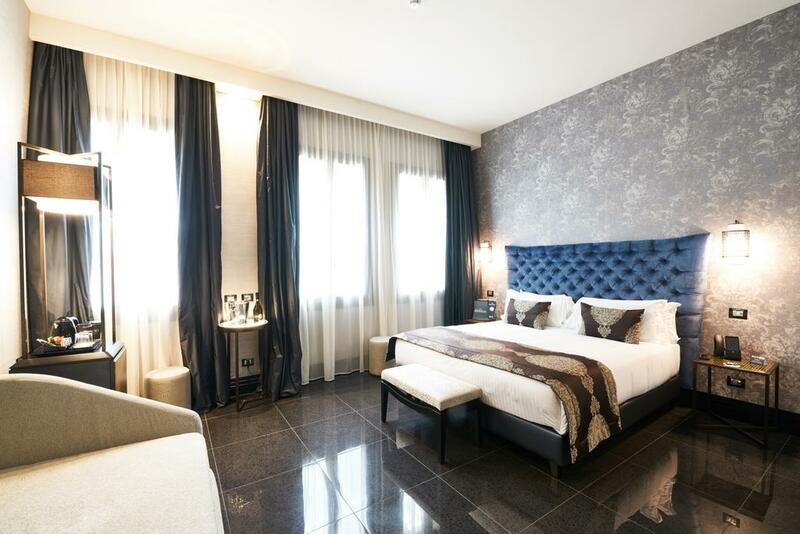 The artful touches are right at home in the Dorsoduro neighbourhood as the hotel is a short walk from museums like the Peggy Guggenheim Collection and some of the best galleries in Venice. Secreted away behind a high wall, Oltre Il Giardino is a country house in a city of marble palaces. Airy and chic, the six rooms and two suites have just the right amount of antique charm. 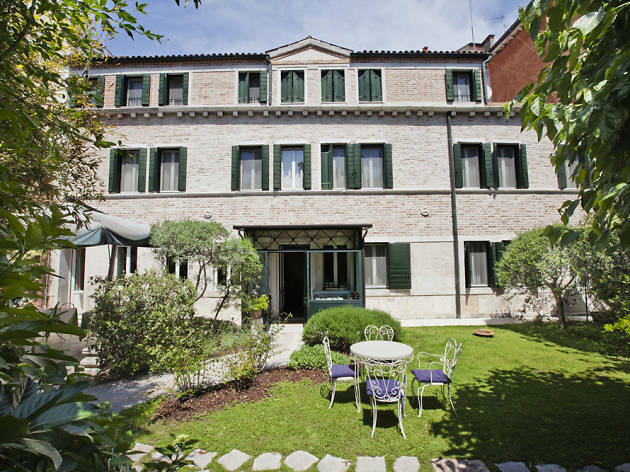 Rather than views of gondolas, most of the rooms at this small hotel look out over the private garden filled with pomegranate and olive trees. 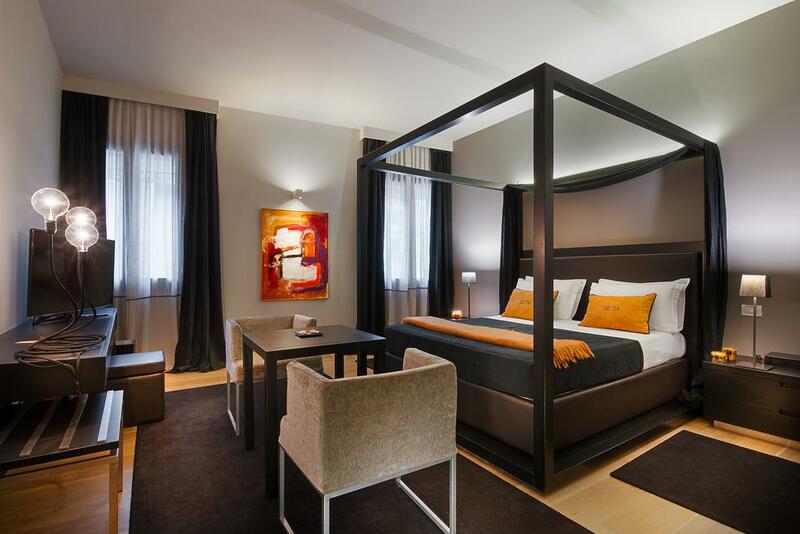 And even though it feels tucked away, the hotel is only a 15-minute walk from the Rialto Bridge. 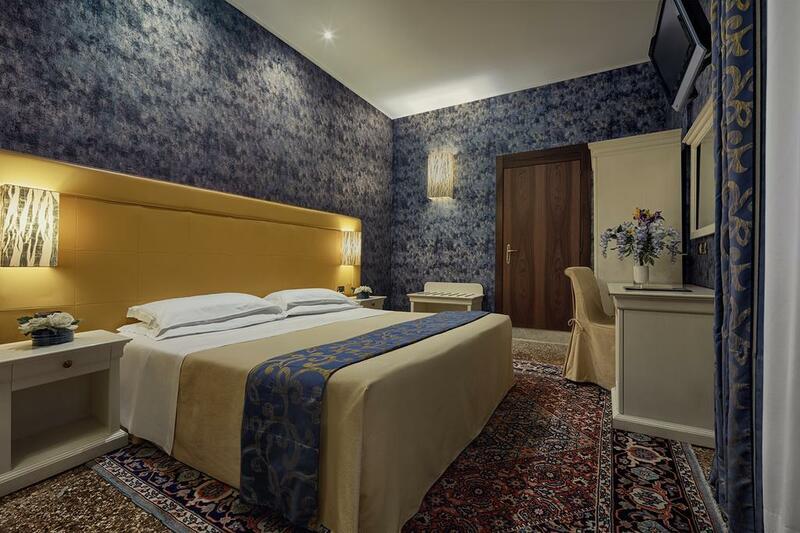 Ditch the busy brocade of the city’s classic hotels for the less fussy contemporary appeal of the Venice Times Hotel. Located close to the main train station, the hotel is in the hip Cannaregio area where Venice’s few specialty coffee shops, natural wine bars and craft beer pubs can be found tucked away down quieter alleyways. 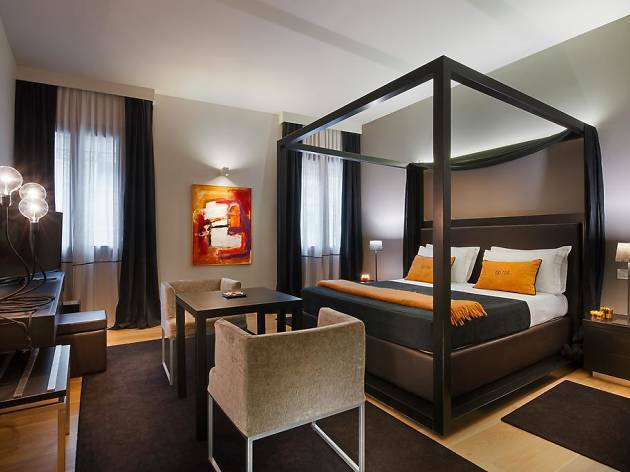 The rooms have a polished modern design, spacious bathrooms and large flat screen TVs. 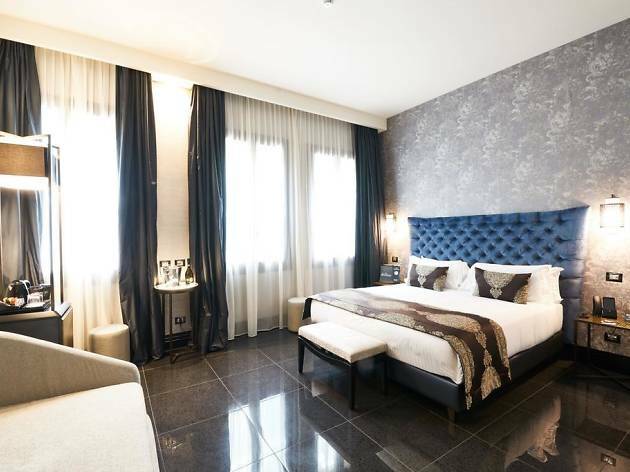 The tech savvy hotel also provides guests with a complementary smartphone loaded with mobile data and free international calling to use while exploring the city. 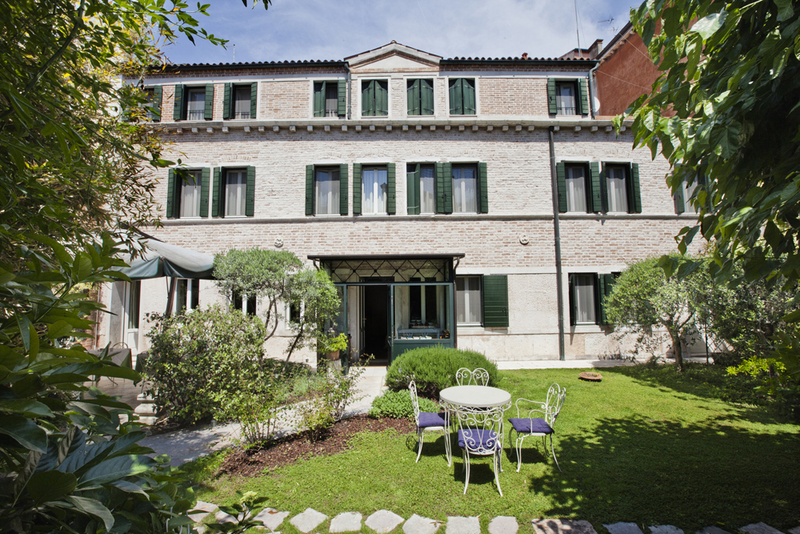 This formal aristocratic home has been preserved and converted in an 18-room luxury hotel on the Grand Canal. The 15th century palazzo has Renaissance frescoes, water views and a twice-Michelin starred chef on site. 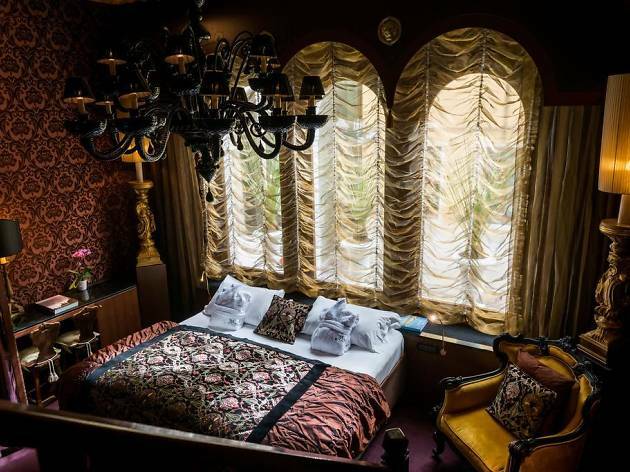 Each room has a unique design but all pay homage to the city’s history and are heavy on leaded glasses, gilt touches and overall luxury. Some have roof terraces, while others look out over the famous waterway. 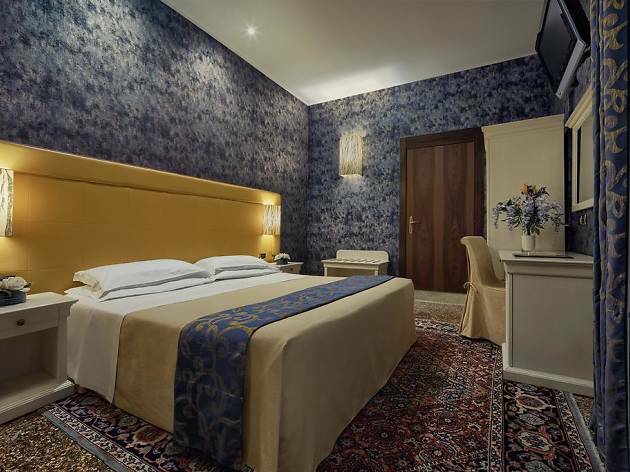 Based in the more off the beaten path area of Santa Croce, the hotel is extravagant without any of the stuffiness that comes with some of the larger luxe hotels in La Serenissima. 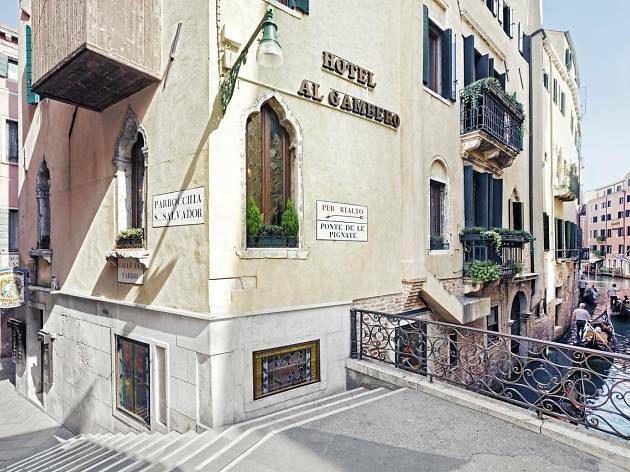 “Family-run” can sometimes be code for dowdy, but that is not the case with the Romanelli family’s garden hotel one bridge away from Piazza San Marco. Located down a small street in an area along the Grand Canal filled with high-end shopping, the hotel feels hidden in plain sight. 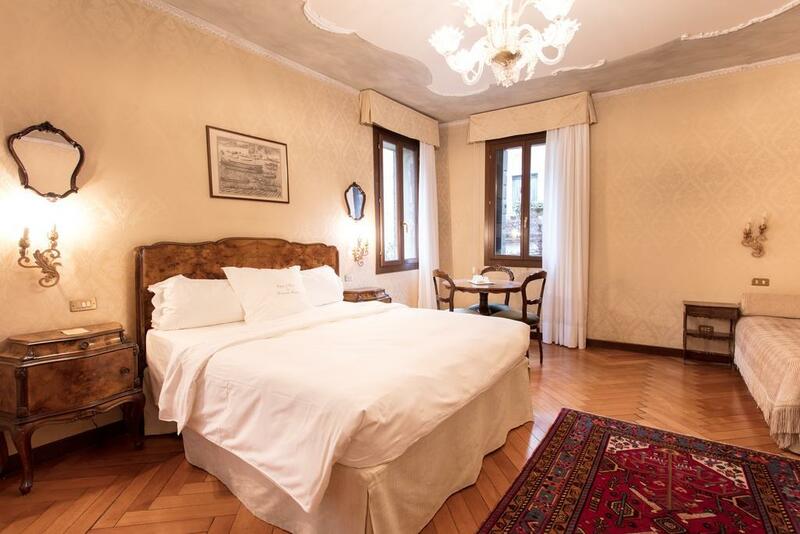 Rooms are of the classic Venetian design persuasion and tend towards the compact and cosy end of the spectrum, but the size is a tradeoff for the incredibly central location. Plus, the lush internal courtyard offers an outdoor escape that is rare to find outside of Venice’s exclusive private homes. Set in a palace that dates back more than 600 years, Ca’ Bragadin has been home to some of Venice’s most infamous figures, including Casanova. 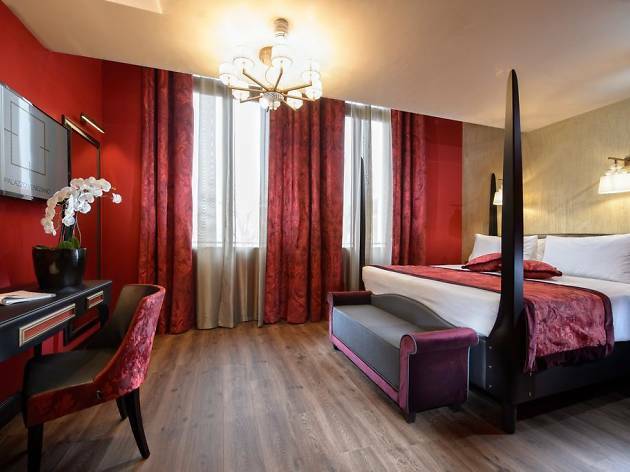 The Gothic style building, a five-minute walk from the Rialto Bridge, is now a small classic hotel with simple but large (by European standard) rooms with high ceilings, minibars and free Wi-Fi. 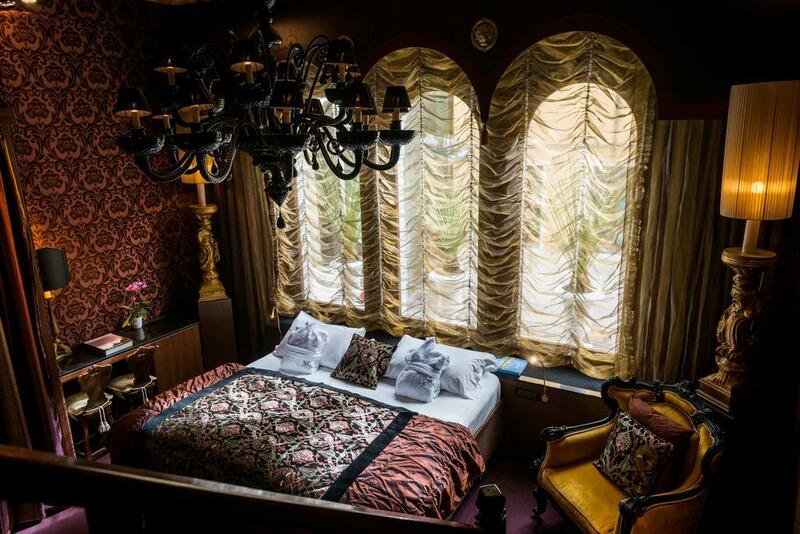 The traditional Venetian décor can feel slightly dated but Ca’ Bragadin scores major points for its great value and spacious rooms in such a central location. 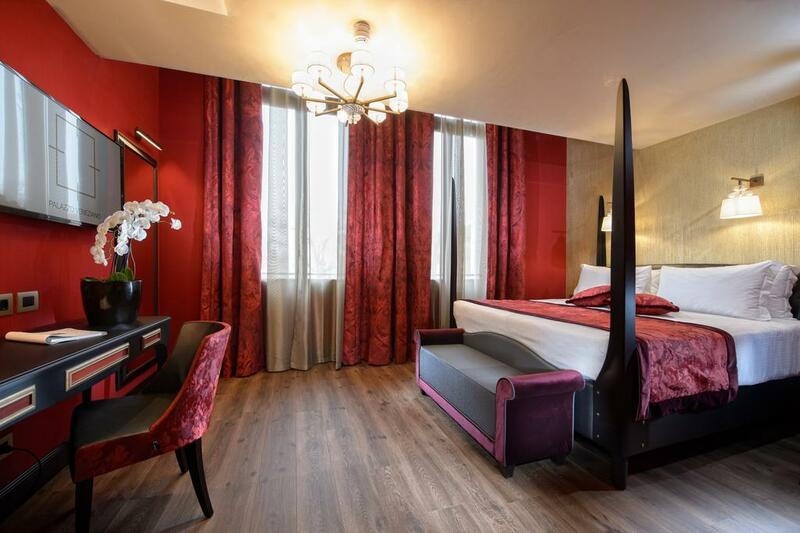 Located in the lively Dorsoduro area, Palazzo Veneziano has an updated and minimalist vibe along the Grand Canal. The marble and metallic accents are sleek without feeling overdone. 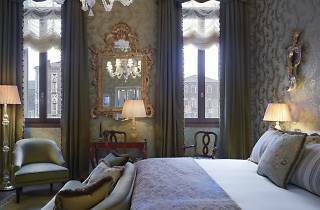 While there are more impressive canal views at other hotels, Palazzo Veneziano has plenty of dolce vita charm for a fraction of the price. Some of the rooms boast terraces with Jacuzzi tubs that look out over the city rooftops. Plus, like any good breakfast of Italian champions, the hotel’s morning meal includes prosecco. Trying not to break the bank? While there’s no doubt that Venetian merchants are creative when it comes to finding ways to separate tourists from their euros, hotels in Venice offer a refreshing surprise. Here are some of Time Out’s picks for the beast cheap hotels in the area.